Portugal can be found on the Iberian Peninsula, bordering Spain and the Atlantic Ocean. As a maritime kingdom, Portugal established the first global empire over 500 years ago, becoming one of the world’s major economic, political and military powers in what we now call The Age of Discovery. The nation was famed for its mastery of the seas, and this resulted in voyages which pushed the bounds of European knowledge along the African coast and beyond the Cape of Good Hope, Vasco Da Gama’s discovery of the sea route to India, to the coast of Brazil (1500) and beyond. The empire expanded, and they monopolised the spice trade worldwide, thus creating immense wealth, becoming one of the world’s major economic, political and military powers and expanding Western influence across the globe. The fact that the country faces ocean side has influenced many aspects of its culture – its beautiful beaches have proven to be a very popular tourist destination and much of the countries architecture is rooted in its rich history which harkens back its naval past, influenced and paid for by its colonial possessions. However, as with all great empires, it was met with many setbacks and finally with the destruction of its capital city, Lisbon, in 1755 at the hands of an earthquake, tsunami, and subsequent fire. After that Portugal lost much of its power, to other naval states like France and Britain. Perhaps this history can be reflected in the spirit of Portugal’s people who are known to celebrate what they have as they know that at any moment, life can throw a curveball and everything can be taken away. There is a real communal sense that one should live for today and it leads to a very pleasant atmosphere which is infectious – it is difficult to worry when you are in the company of Portuguese citizens. Culturally, Portugal is refined and features a unique mixture of tradition and modernity which you will struggle to find in any other location. Its breathtaking landscape, fine cuisine and even finer wines are the perfect medicine for all holiday goers suffering from the dreariness of everyday life. The climate could be described as mild, but the 3,000 hours of sunshine a year and 850km of beaches that these sun rays visit are great for those looking for an increase in Vitamin D.
A large majority of Portugal’s citizens are Roman Catholic but it is home to a large number of small communities representing different faiths and so it gives off a welcoming impression to all who grace its borders. The official language is, of course, Portuguese derived from early Latin. Although if Portuguese is not your first language, you should not fear as according to International English Proficiency Index, Portugal has a high proficiency level in English, proficiency higher than in countries like Italy, France or Greece. The majority of industries, businesses and financial institutions have traditionally been located around Lisbon and Porto, but after the revolution in 1974, their most notable era of economic expansion ended and since they have tried to adapt to the changing modern global economy, a process that is successfully continuing still. There is now more focus on exports, private investment and developing a high technology sector. Having suffered from a severe recession and the indignity of accepting a bail-out in 2011 (which they have now exited) the national commitment to a reformist momentum endures and unemployment continues to fall. The World Economic Forum places Portugal 36th on its economic index, a significant rise from 51st in 2013. The International Monetary Fund issued an update report last year stating a strong near-term outlook and an increase in investments and exports. They said, “Sustained strong growth together with continued public debt reduction would reduce vulnerabilities arising from high indebtedness, particularly when monetary accommodation is reduced”. Portugal is a notable producer of minerals particularly copper, tin, tungsten and uranium. Lithium is also mined from their subsoil. Portugal is among the top ten producers of lithium, which is increasingly sought after by manufacturers of electric cars and mobile phones who use the element in their batteries. There is great interest in exploring lithium deposits further in the areas from Alto Minho to Beira Baixa, passing through Trás-os-Montes, where Dakota Minerals already is mining the ‘white oil’ in a €370m investment. One of the country’s main exports is wine and it is the 7th largest exporter in the world by value. The genesis of this trade dates back to the Roman Empire. Its wine-producing regions, the Douro valley and Pico Island, are protected by UNESCO and offer a large selection of different wines from a vast array of grapes, all distinctive due to variations in soil and climate. Another thriving industry is aerospace, electronics and textiles exist, and investment is growing strongly in the biotechnology and IT sectors. Research grants are prolific, particularly for neuroscience and oncology. Tourism remains extremely important to the country and it is one of the top 20 most visited countries in the world with 13 million tourists every year. For foreign investment, apart from just the beautiful location, they have a strong infrastructure (15th in the world) with widespread broadband connectivity and it is also a leader in electronic payments – up and ready for business. There is an open door to a market of 500 million and two years ago the country ranked highest in the Trading Across Borders Rank. Portugal has a highly developed motorway network and a port system among the best in the world. (Sines was recently the fastest growing container port in the world). Porto Airport was named as the 3rd best European airport in 2013 while the Atlantic Corridor is a rail freight line across Europe which is among the best in the world. Portugal is a parliamentary republic based on a 1976 constitution, amended in 2004. The government holds the nation’s sovereignty and not only has executive powers but also limited legislative powers, mainly concerning its own organisation. The parliament is known as the Assembly of the Republic with 230 deputies who are elected for a maximum term of four years. The legislature is elected by proportional representation, used in 20 multimember constituencies. Power is shared between the president, the assembly, the government and the courts. The country is a member of the European Union and was a founding member of NATO, the eurozone and the OECD. It enjoys a high standard of living, a high-income advanced economy and a developed market. There is a low crime rate, little corruption, press freedom, social progress, prosperity and it is ranked as the most peaceful country in Europe and third in the world. It is now a secular state with one of the world’s highest rates of moral freedom. Portugal has also been declared Europe’s leading destination for golf. 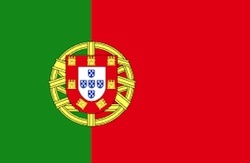 As well as the EU, Portugal is a full member of the Latin Union and has a dual-citizenship with its former colony – Brazil. Sharing a long history and a common language there is a mutual interest in using their bilateral political capital to increase trade and investment and to partner together in science, technology, culture and education. Over recent years trade has grown steadily and is relatively balanced with over 600 Portuguese companies having a presence in Brazil and an increase in Brazilian investment in Portugal. Co-operation between the countries extends across the areas of innovation, nanotechnology, biotechnology and energy production. Many people, after spending time in Portugal, come to the conclusion that they would like to live there permanently. To these people, there is some good news, citizenship by investment is entirely possible in Portugal, but you will need to invest a minimum of €500,000 in order to qualify for a “golden visa”. Once you have acquired a golden visa, it is then possible to apply to become a citizen of Portugal after six years. In comparison to other some other EU countries, the minimum cost of investment is a little higher, but there are many benefits to Portuguese citizenship, including low tax rates, low minimum stay periods and, of course, the benefits of a climate and culture that are in-line with each other – easy going, with hot periods. While being a more expensive option than some of its neighbours, Portugal offers investors a warm and friendly climate, gorgeous coastlines and vibrant cities in which to seek residence. Diverse, beautiful and culturally arresting, Portugal, in many ways, offers bits of the best of all of Europe. – Acquisition of property above €500,000. – Acquisition of property above €350,000 – for properties more than 30 years old or located in areas of urban renovation. – Transfer of funds above €1,000,000. – Transfer of funds above €350,000 for research activities. – Transfer of funds above €250,000 for artistic or cultural activities. – Transfer of funds above €500,000 for capitalisation of small and medium-sized companies. – Creation of a minimum of 10 jobs. Once issued, the Golden Visa will be valid for an initial period of one year and then will be renewed for subsequent periods of two years. The simplicity of the Golden Visa Programme implies an extremely reduced amount of requirements being asked from the investor. The Golden Visa Programme sets out that the investor must comply with general requirements applicable to all types of qualifying investments and also with the specific requirements of each type of qualifying investment. In total, Portugal’s Golden Visa has raised almost €3.8 billion since it began in October 2012 (to 30 April 2018), equating to 6,159 investment residence permits, and 10,396 permits for family members. The vast majority of those chose to invest in property, and most were Chinese. The other top nationalities applying for the scheme have been from Brazil, Russia, South Africa, and Turkey. you’re actually a good webmaster. The site loading pace is amazing. It kind of feels that you are doing any distinctive trick. Moreover, The contents are masterwork. you have done a excellent activity in this matter!